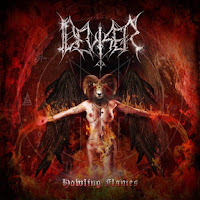 Deviser is a lesser known but long-lived entity on the Hellenic black metal scene which has survived nearly as long as its far more popular peer Rotting Christ, if less prolific and a lot less distinct. Their first two full-lengths were pretty good, in particular the sophomore Transmission to Chaos (1998), but the subsequent and scarce recordings showed some growing pains and the band were not able to really define or register themselves against such an exploding European scene. The Howling Flames EP comes six years after their last album, Seasons of Darkness, and does well enough to rekindle my interest in the potential these guys once exhibited, to the extent that if they could pull off a full-length of quality comparable to these tunes I'd honestly be excited. 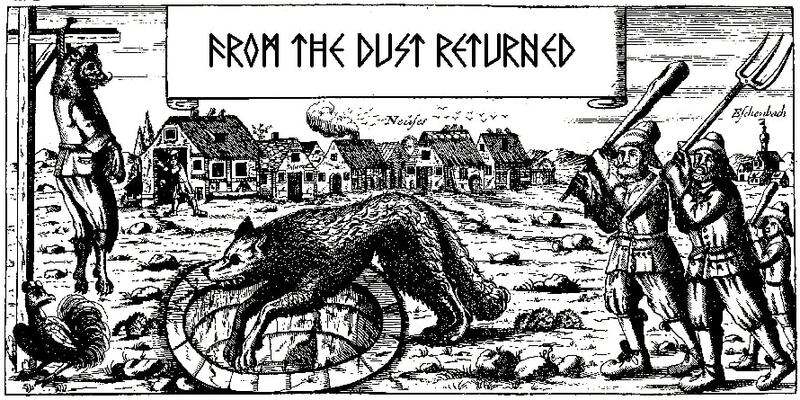 It's not because Deviser are coming up with anything really unique here, not in style or in actual riffing progressions or overall songwriting. These are just very well-rounded, catchy melodic and symphonic black metal tracks which fluidly balance proficiency and atmosphere. From the guitars you'll definitely notice that Greek streak of majestic, mid-paced riffing you'll recognize from their rotting messianic countrymen, but try and imagine if that were layered up with massive swells of operatic instrumentation. A technique employed by Greece's premiere black metal export on their more recent recordings, to be sure, but this is more like Triarchy of the Lost Lovers or Thy Mighty Contract with that extra layer of orchestra pit paint, and it results in some glorious, solemn shifts in tone over the 12 minutes of material that held up a cool contrast and fulfilling stereo experience. The music is never complex, just robust with how the various strings and keys resonate alongside the meat of the rhythm guitars, while Matt Hnaras barks off with a nihilistic, Sakis Tolis-like growl that blends in very well with the melodies and the thundering of the drums and peels of effects. These guys don't get very fast, but there's a feel of momentum through most of the EP like you're gliding along the moonlit battlements of some fell castle in a Castlevania game and about to engage some aristocratic undead or Satanic adversary, and so it truly nails what it's going for. Mileage is going to vary as to whether or not you like having such hugely textured, orchestrated accompaniment to a simple black metal core, but Deviser due wonders to never let it overwhelm the basics, and the two cuts here both complement one another and vary it up enough to make a difference. It's short, but right up there with any of the highlights off Transmission, and a lot more tasteful and well integrated than other modern bands who over-employ the symphonics (Fleshgod Apocalypse, recent Dimmu Borgir, etc).